Victory Ridge Academy Receives Grant from Mountain Lake Community Service, Inc.
On Tuesday, January 31, 2017, PCSO deputies thwarted a trio’s efforts to swindle an elderly Winter Haven resident. The deputies arrived at the scene on Alachua Drive prior to the suspects’ arrival, having been alerted by a victim who had already had unsolicited work done at his house. 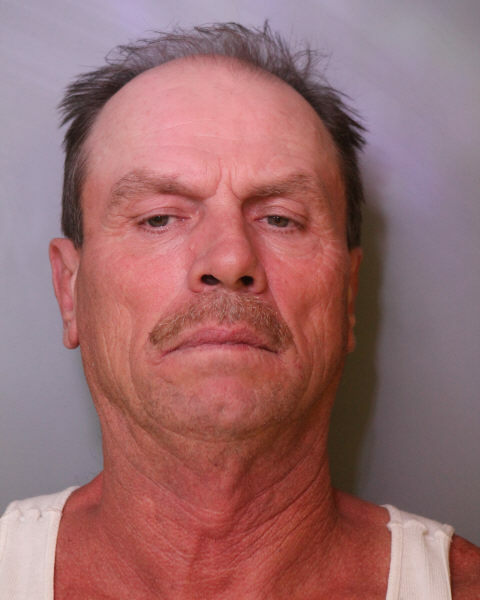 57-year-old Anthony Barfield of Avon Park, Barfield’s 16-year-old son, and 42-year-old Christopher Kiker, arrived at the scene, prepared to pressure wash the victim’s home, without the victim’s consent or permission. None of the suspects have business tax licenses, or workers comp insurance, and Barfield has an extensive criminal history with similar crimes. On Monday January 30, 2017, PCSO received a call for service in reference to possible traveler suspects in the Winter Haven, Florida, area who were from North Carolina. The caller stated approximately on January 23 or 24, 2017, two unknown male subjects contacted the victims, unsolicited by the victims, by knocking on the covered front porch door and then solicited the victims to pressure wash and paint their residences located on Alachua Drive in Winter Haven. The suspects, Kiker and Barfield, did perform unsolicited work by convincing the victim to pressure wash and paint his residence and attempted to obtain money for this work, and the suspects promised to perform work in the future on another victim’s residence. Once the suspects Barfield and Kiker completed pressure washing the first victim’s residence, Barfeld solicited money from the victim to write the check payable to Kiker because he had no proper identification to cash the victim’s check. The victim requested both suspects provide him with the proper paperwork to include business tax license, workers comp insurance, and liability insurance,that both suspects claimed they possessed, to perform work legally in Polk County and the State of Florida. The suspects could not and did not provide the victim any proper paperwork to include business tax license, workers comp insurance, or liability insurance. A second victim by the same suspects was discovered while affiant was conducting an investigation with the first victim. On Tuesday January 31, 2017, Detectives from the Polk County Sheriff’s Office arrived on scene prior to the suspect’s arrival to the victim’s address located on Alachua Drive in Winter Haven. At approximately 0920, Detectives observed a gray/blue Ford Expedition bearing a North Carolina tag pull into the victim’s driveway, and made contact with the three suspects: The driver was identified by Florida driver’s license as Christopher Kiker; The front passenger was identified by fingerprint scanner as Anthony Ray Barfield; The rear passenger, a juvenile, stated he did not have any identification on him. 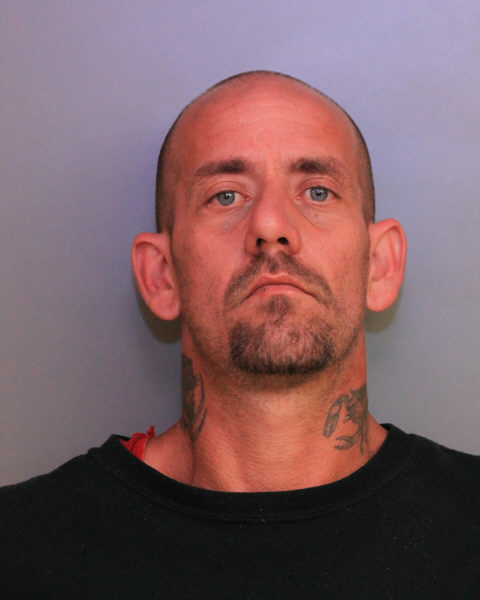 A check through FCIC/NCIC on Anthony Barfield came back to have an ACTIVE WARRANT from Highlands County for Failure To Appear, Possession of Marijuana, and Possession of Drug Paraphernalia. A check on the North Carolina tag came back revoked unregistered. Detectives searched the suspects’ vehicle and located a green leafy substance in the back seat center console.The green leafy substance was field tested with narc test kit#8 which tested positive for cannabis. Post Miranda, all suspects were interviewed and stated they were employed by Stacey’s Paint located in Avon Park, Florida. Anthony Barfield stated he came to the above address with Kiker last week and knocked on the front door unsolicited. Anthony stated he went to this specific house because it looked like it needed work done on the outside of the residence. Anthony stated he travels from North Carolina to Florida and tries to target older wealthy people because he knows they will pay good money. Anthony stated he does not have a proper legal license or permit to preform work in Florida. Anthony stated he accepted a check for $335.00 from the victim, for power spraying the house and driveway. Anthony stated that he first approached the second located on Alachua Drive to perform the same work at that property. Per Agent Jan Cary from the Florida Department of Insurance Fraud, after he conducted a search on “Stacey’s Paint” and confirmed there was no workman’s comp properly registered in the State of Florida legally. Per Agent Cary, Stacey’s Paint has no recorded license for workers compensation; there is no record on file for this business and it is not registered in the State of Florida to conduct business legally. Per Florida State Statute 440.105(4)(A) 3, the suspects failed to secure workers compensation insurance coverage, which is a 3rd degree Felony in the State of Florida. All suspects knowingly and intentionally solicited both victims by performing and soliciting to perform future unlicensed work on their personal properties, leaving both victims liable for any and all injuries that the suspects could have incurred on their property and or damage they may have done to either victims properties. Suspect Barfield has 19 different address listed for him in his criminal history in multiple states throughout Florida and the Carolinas. Barfield was on Felony VOP Fugitive from justice on 10/12/1992 in Nash County, North Carolina. Barfield has numerous Felony controlled substance arrests and had Felony VOP 11-8-1996 in North Carolina. On 1-3-2001, Barfield was arrested for VOP out of county in North Carolina. Barfield was twice arrested in 2000 for providing fictitious information to Law Enforcement in North Carolina. In 2003, Barfield had a damaged to personal property arrest. On 10-3-2006 he had a Felony probation violation for violation parole in Manatee County, Florida. Barfield was arrested on 6-3-2-13 for armed burglary and released from prison on 6-3-2016 from North Carolina. SUNBURST PAGEANT AND MODEL SEARCH IS COMING TO A LOCATION NEAR YOU… DON’T MISS THE FUN AND EXCITEMENT! This BBQ Team Won First Place At Fire It Up! Frostproof. Guess How Many Other BBQ Events They Won This Year.